A new agreement between the U.S. Environmental Protection Agency and the Buffalo Sewer Authority will keep billions of gallons of raw sewage from flowing directly into the Niagara River. It is disconcerting that 42 years after Congress passed the Clean Water Act, 1.75 billion gallons of untreated water from storm and sanitary sewers dumps into the Niagara River every year. That this problem has persisted for so long is a scandal, one that finally forced the EPA to order remedial action. The agreement announced last week will reduce the overflows by more than 70 percent, a huge decrease but still a disgusting amount of pollution. The authority will invest $380 million in infrastructure improvements to the city’s sewage system over 20 years. Buffalo Niagara Riverkeeper deserves huge credit for focusing public attention on the issue and pushing the EPA and Sewer Authority to work on an agreement. Buffalo, like many older cities, has a combined sewer system. That means human waste and stormwater runoff end up going to the same water treatment facilities. When the system is overwhelmed by runoff during heavy rain, untreated sewage is dumped directly into local waters to prevent damage to the treatment plant. The agreement attacks the problem in two ways. Much of the spending will be to improve the sewage infrastructure to improve capacity. But about a quarter of the money – $93 million – will go to so-called green infrastructure, projects designed to keep stormwater from reaching treatment plants in the first place. Those efforts stress absorbing stormwater before it enters the sewer system and include rain gardens, green roofs, restored wetlands, permeable pavements and rain barrels. To its credit, the Sewer Authority has already started working on some of these projects. Improvements to traditional sewage infrastructure include $41 million in upgrades at the Bird Island treatment plant, $18 million for construction of a control facility at the Hamburg drain to prevent “large floating debris” from entering the river and an $8 million storage facility at Smith Street designed to cut overflows of raw sewage. The system’s capacity for transporting wastewater will also be upgraded. A solution to the problem of sewage dumping into the Niagara River has been a long time coming, and while the goal is 20 years away, this agreement is a major victory for Western New York. Millions of dollars are being spent to improve the greenway between Lakes Erie and Ontario. That we would jeopardize that effort by dumping sewage into the Niagara River is almost beyond comprehension. Beyond the smell – and some days that’s not easy to do – just the thought of the sewage, even heavily diluted, in the river has to affect the ability to enjoy the water. The agreement will improve water quality and, if the efforts to clean up the watershed continue, there may come a day when anglers will be able to safely consume the fish they take from the river. Our waterfront is a precious resource that was abused for too long. 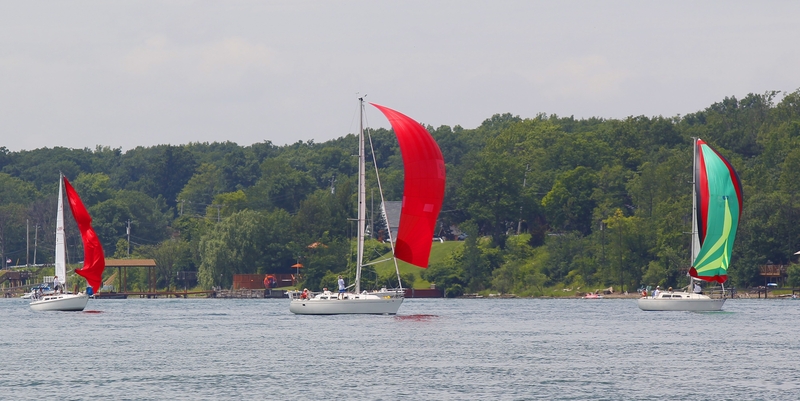 A cleaner Niagara River will be an even stronger magnet for the region.